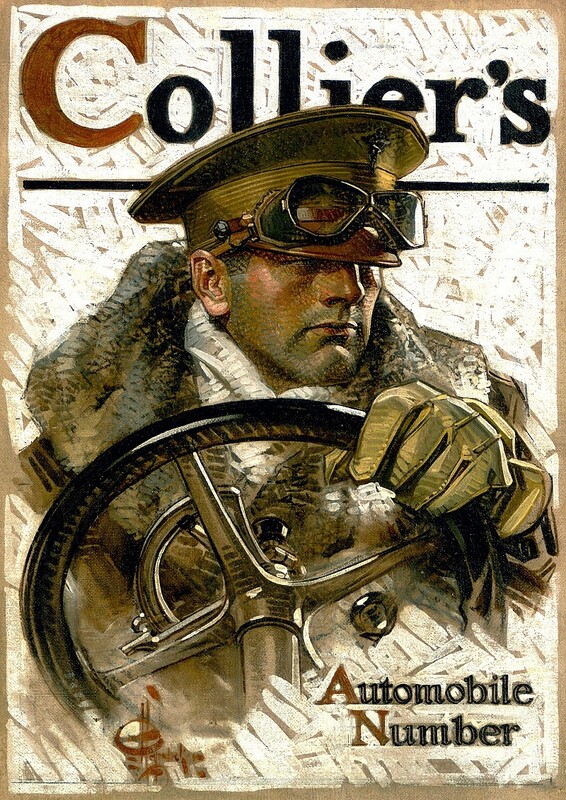 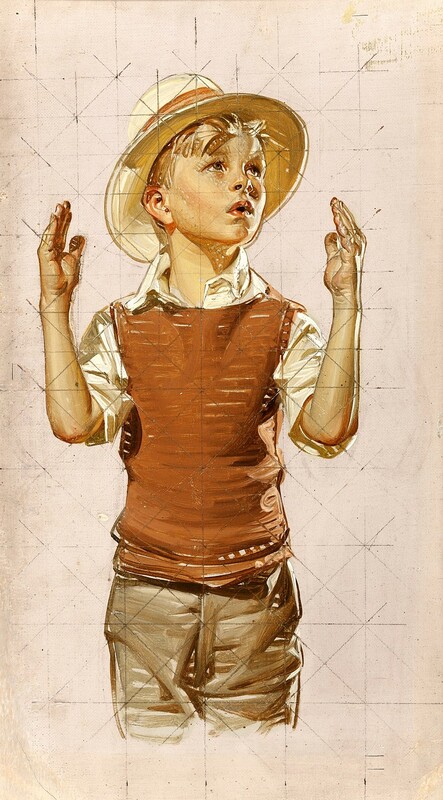 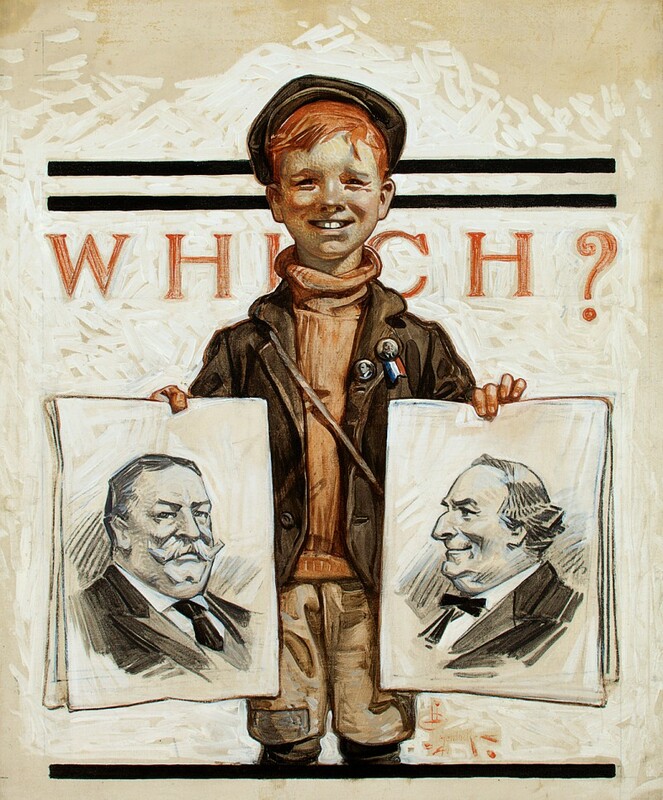 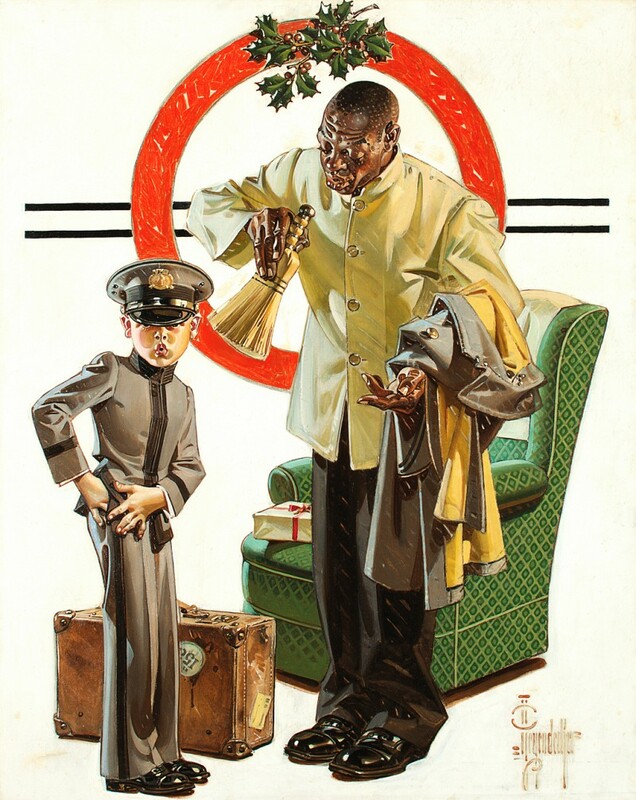 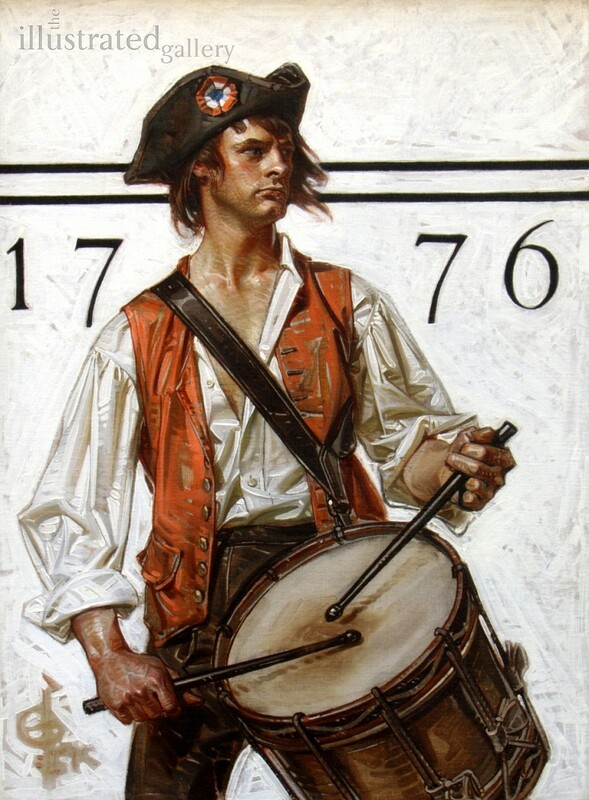 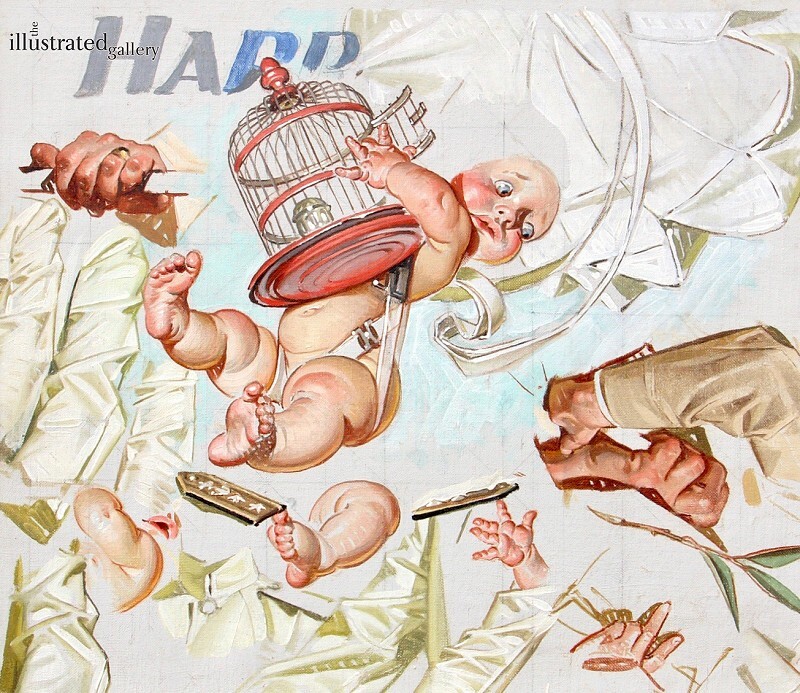 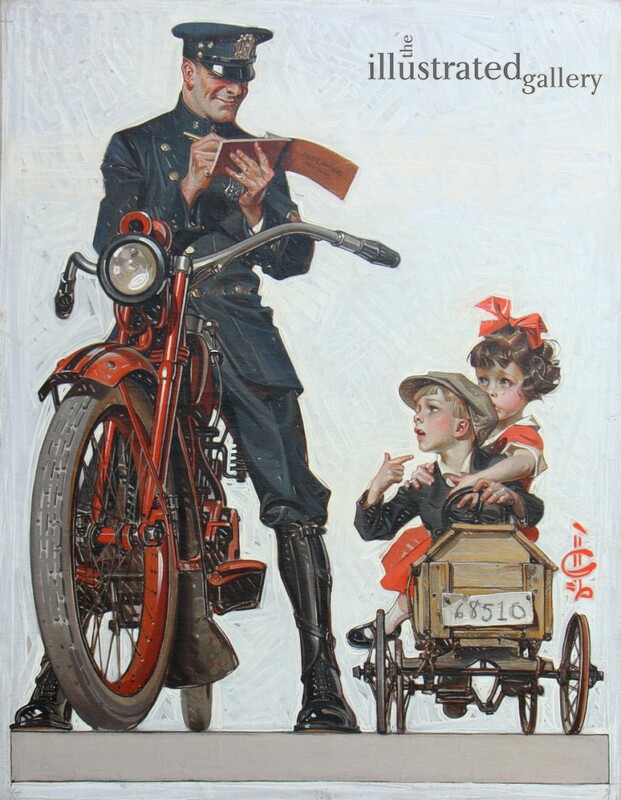 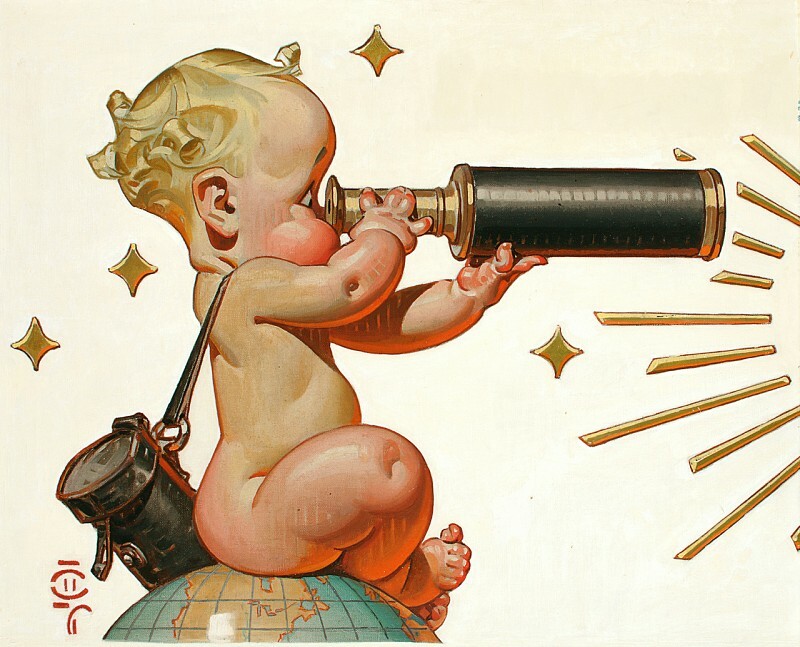 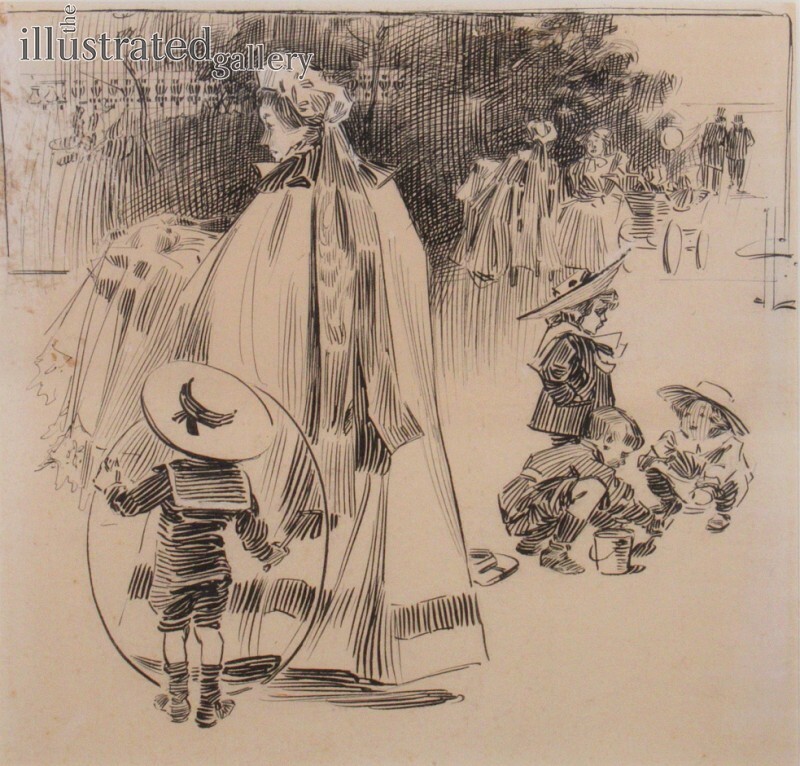 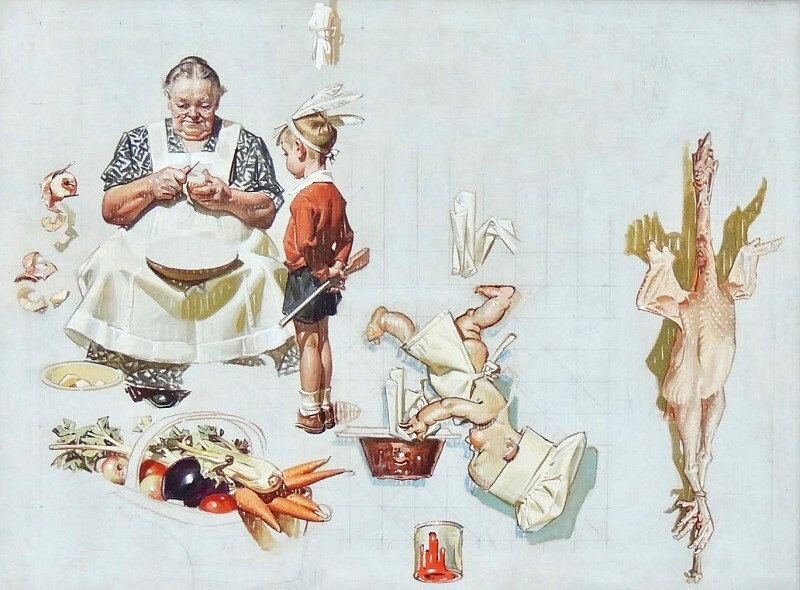 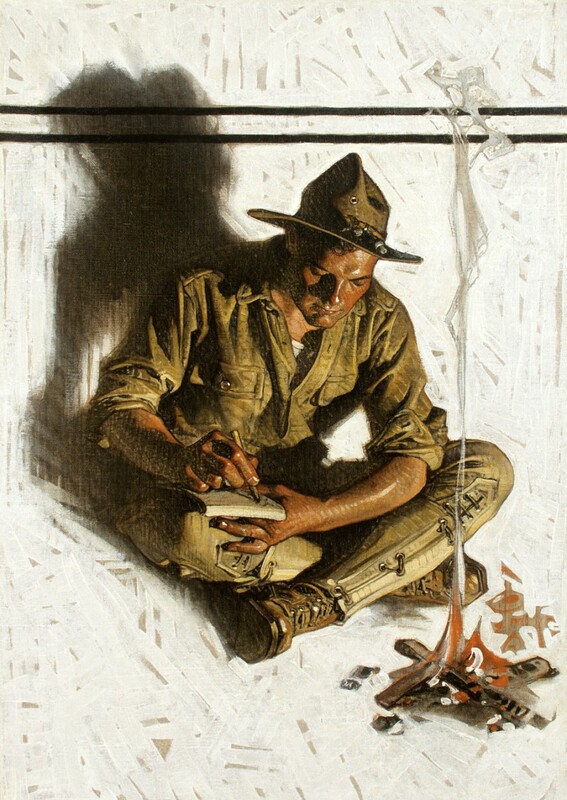 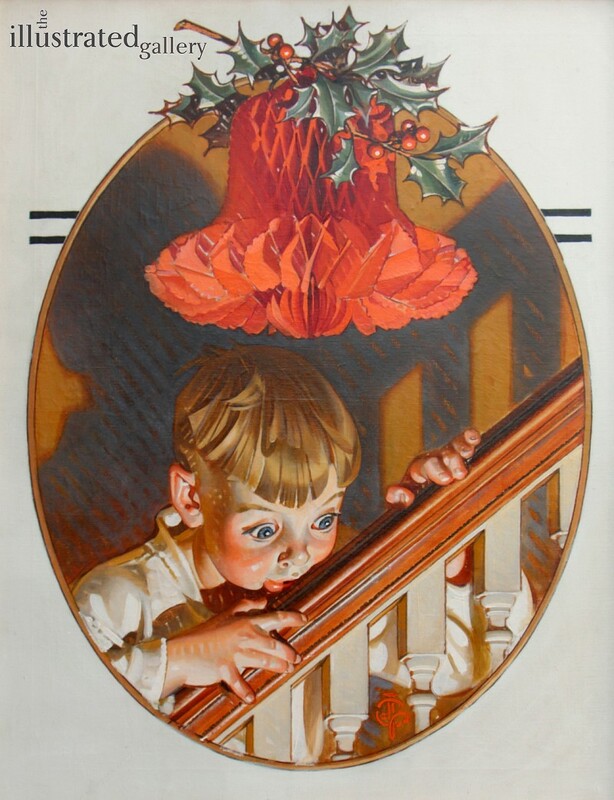 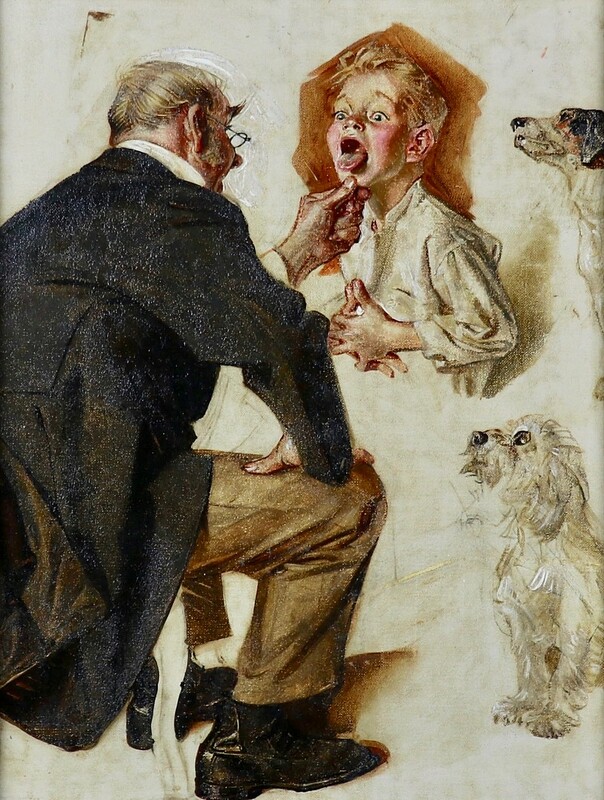 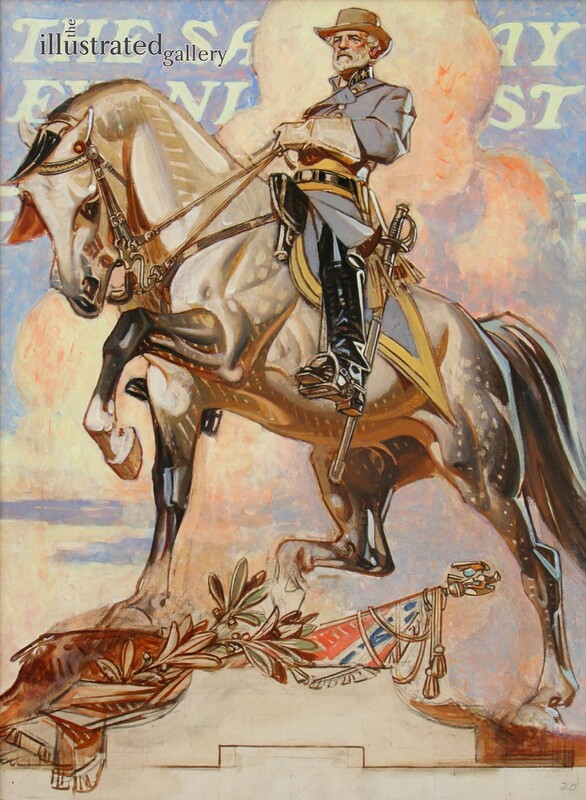 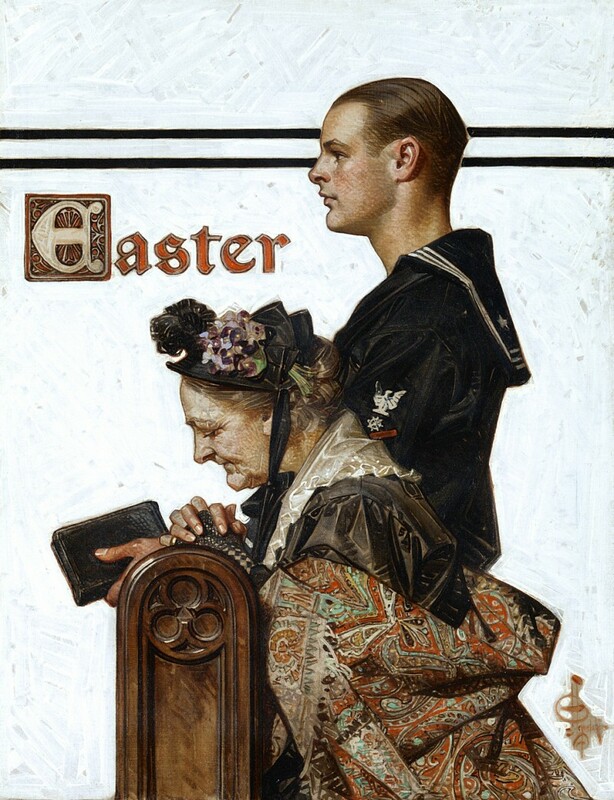 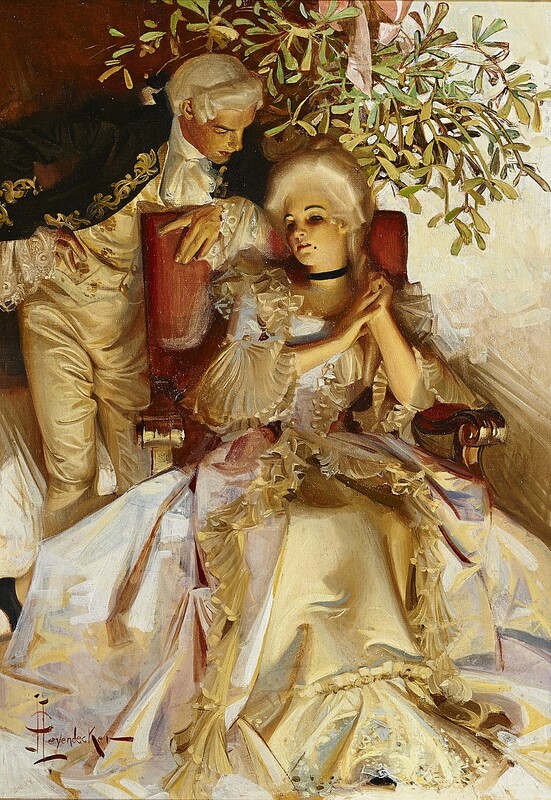 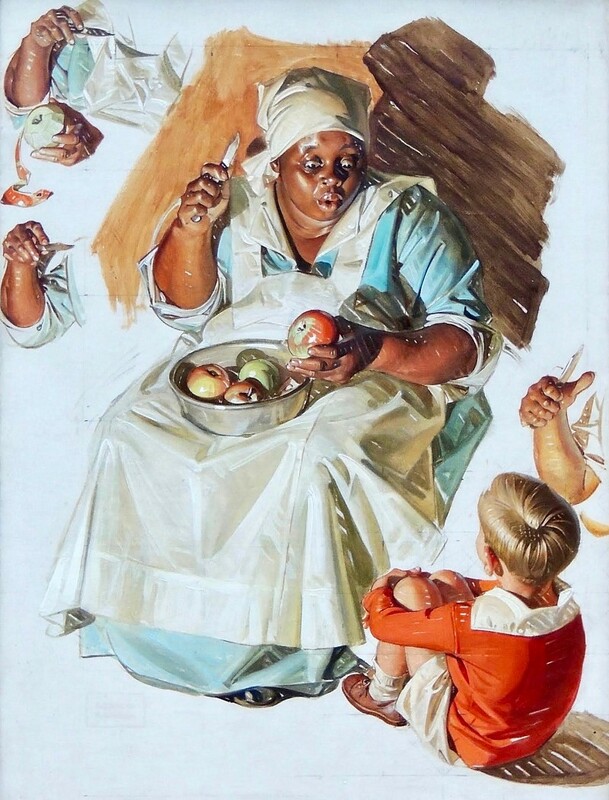 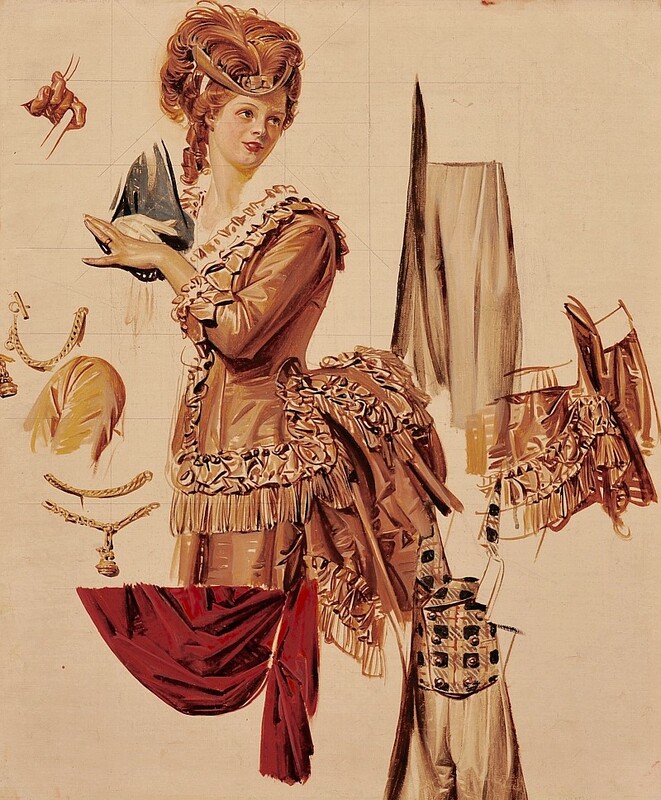 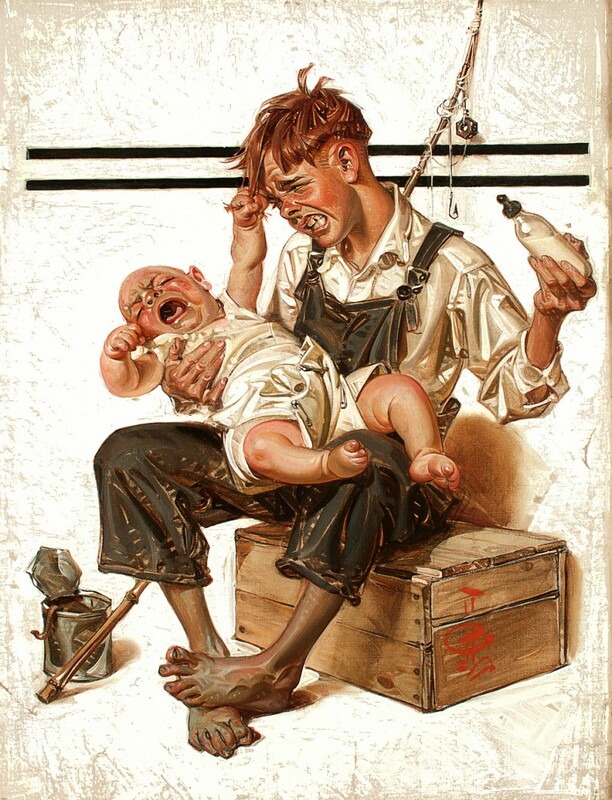 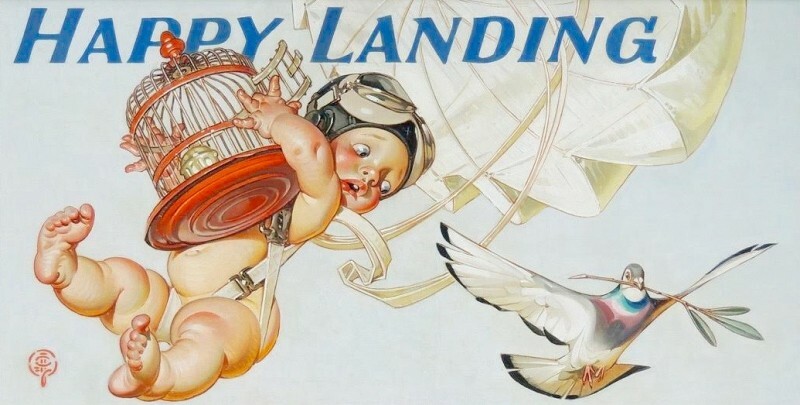 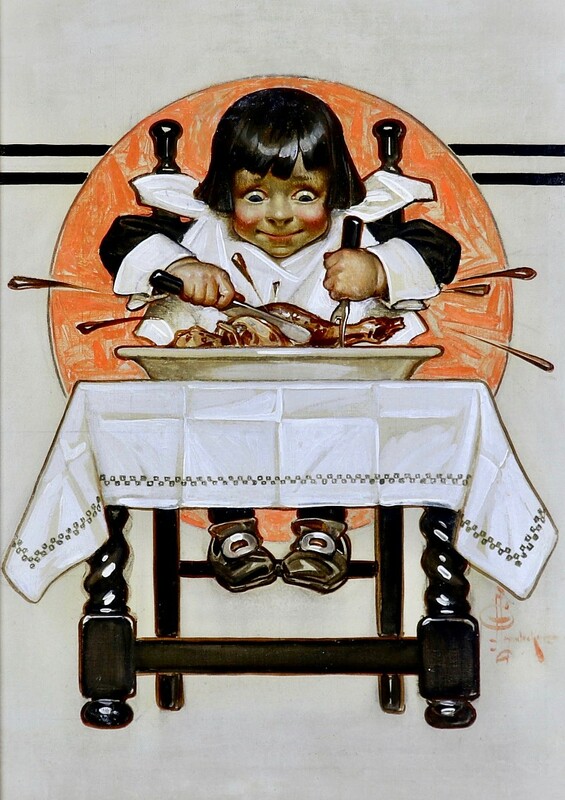 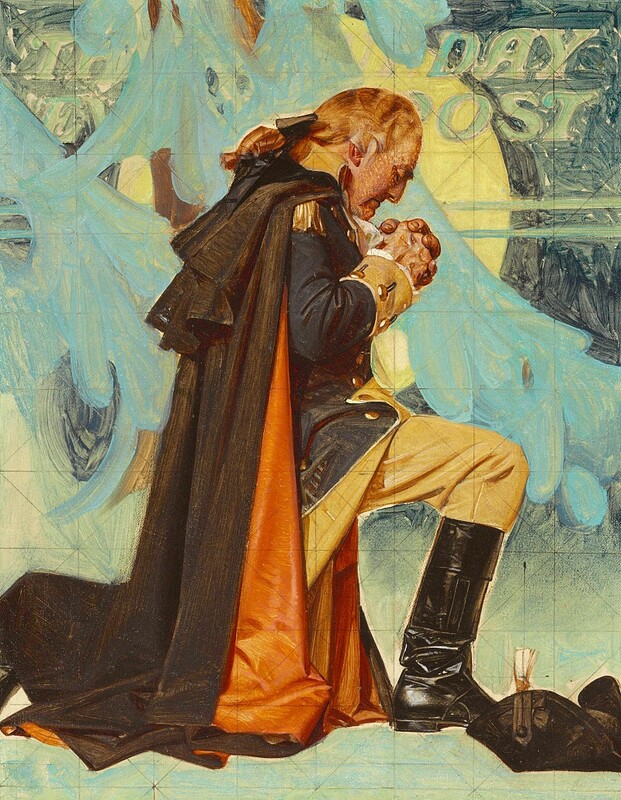 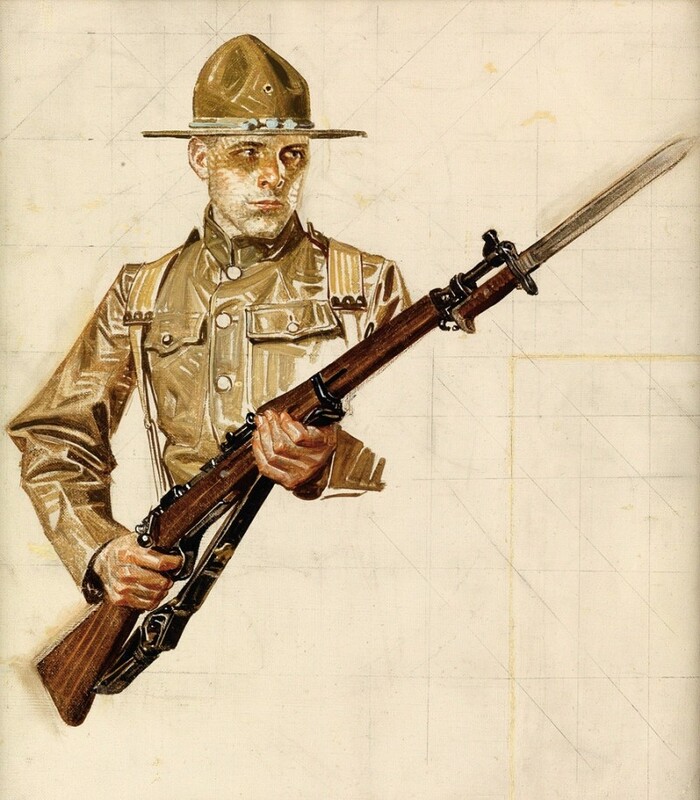 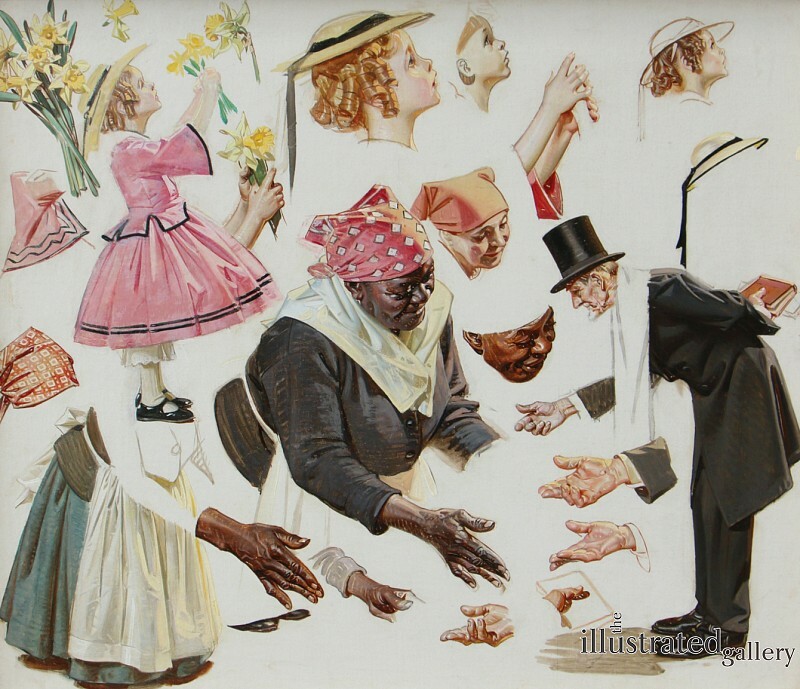 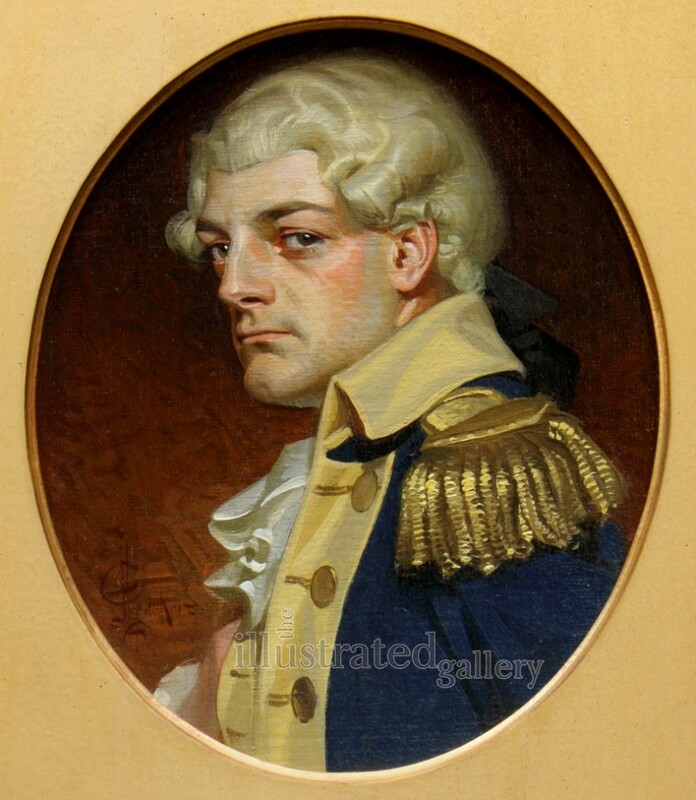 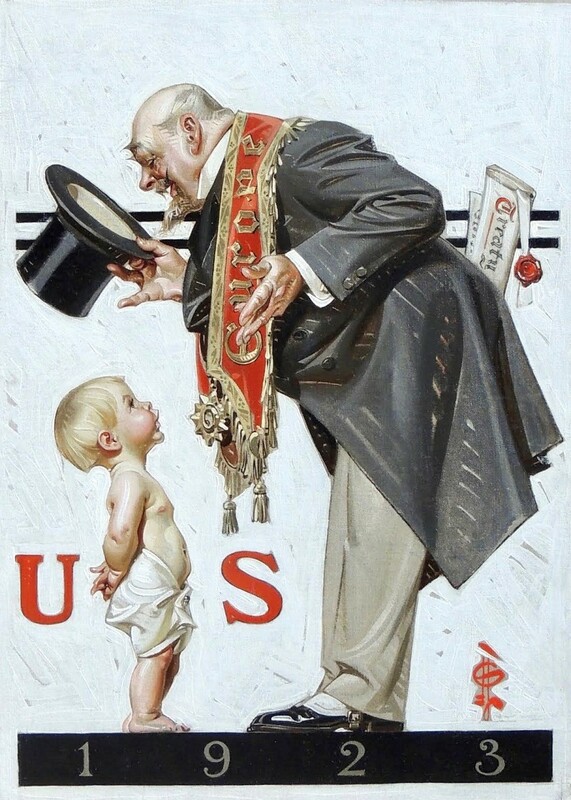 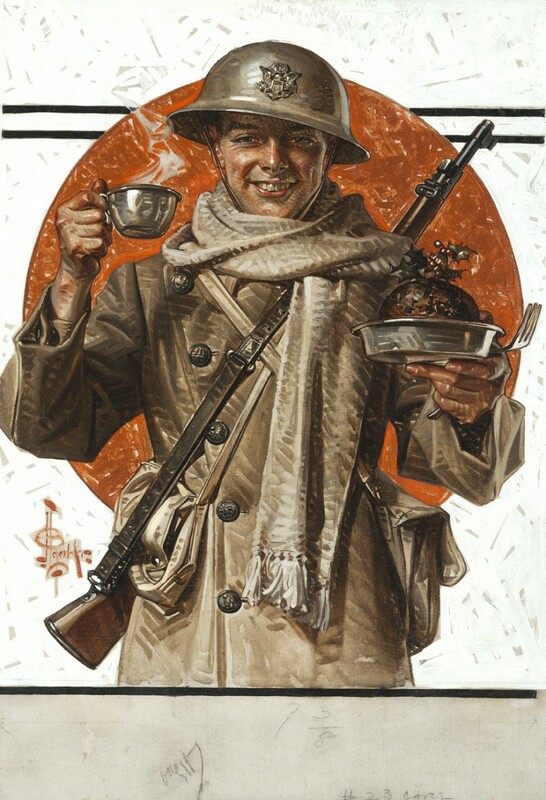 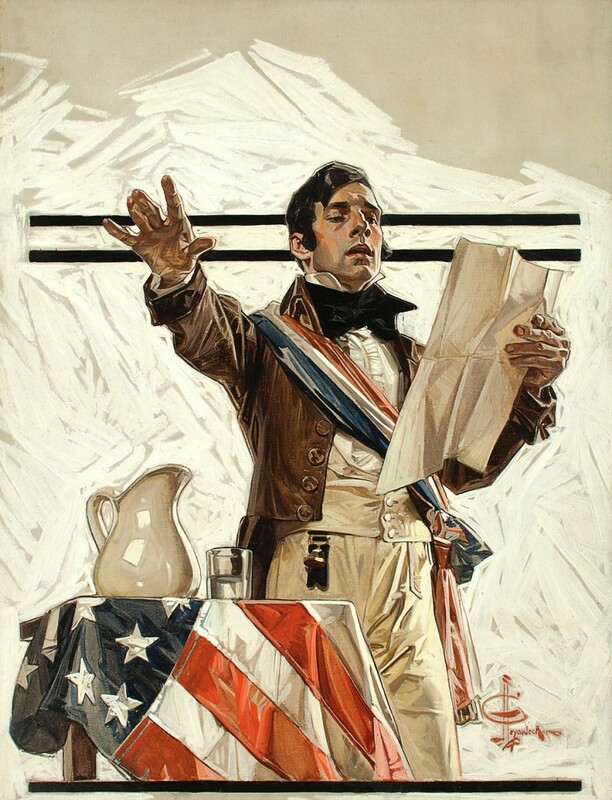 Joseph Christian Leyendecker was born in Montabaur, Germany, and came to America at the age of eight. 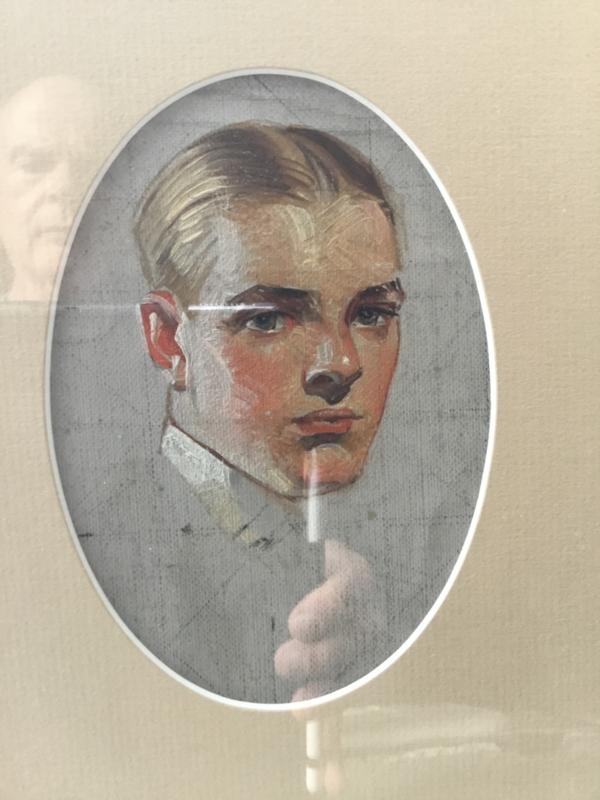 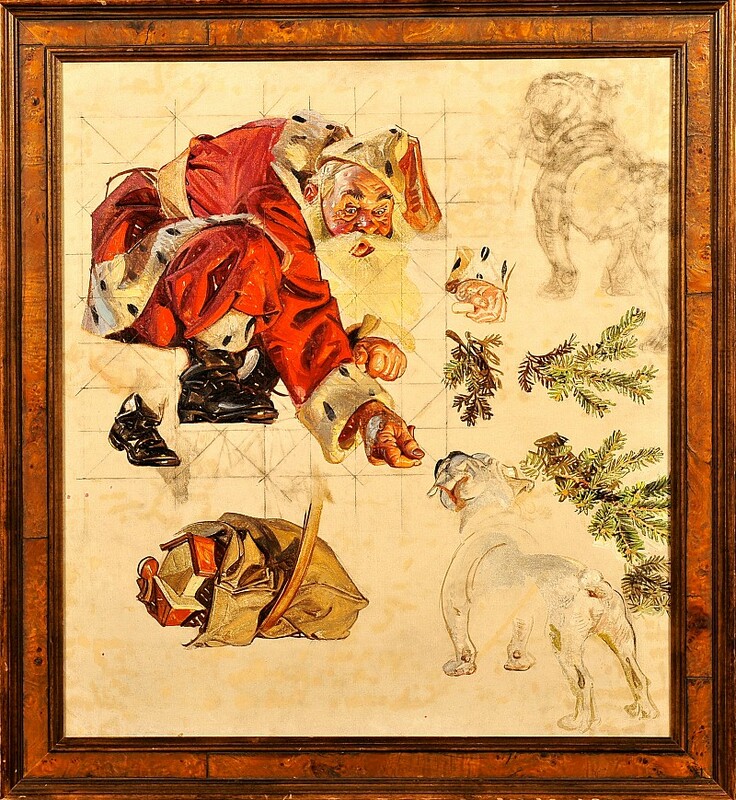 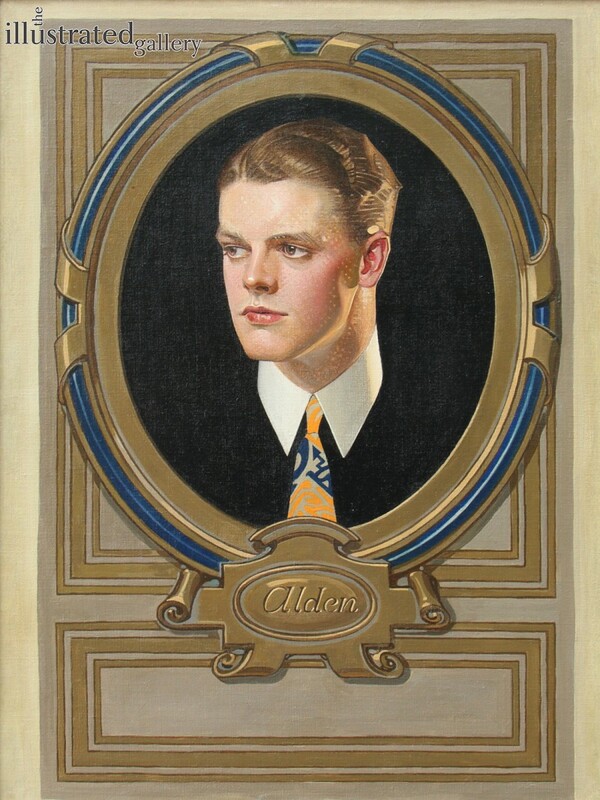 Showing an early interest in painting, he got his first job at 16 in a Chicago engraving house on the strength of some larger pictures he had painted on kitchen oilcloth. 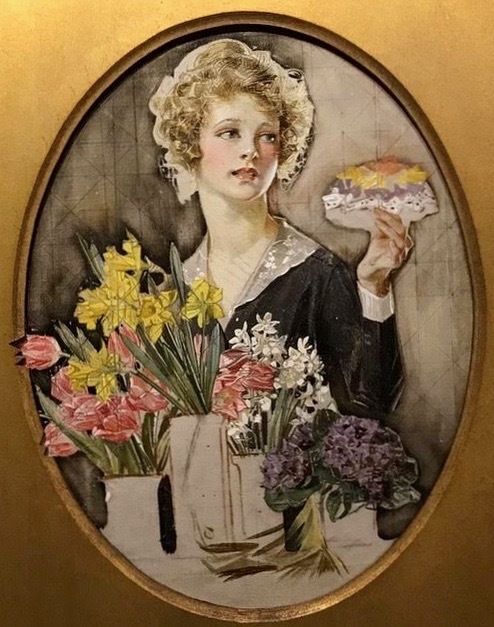 In the evenings after work, he studied under Vanderpoel at the Chicago Art Institute, and saved for five years to be able to go to France and attend the Academie Julian in Paris. 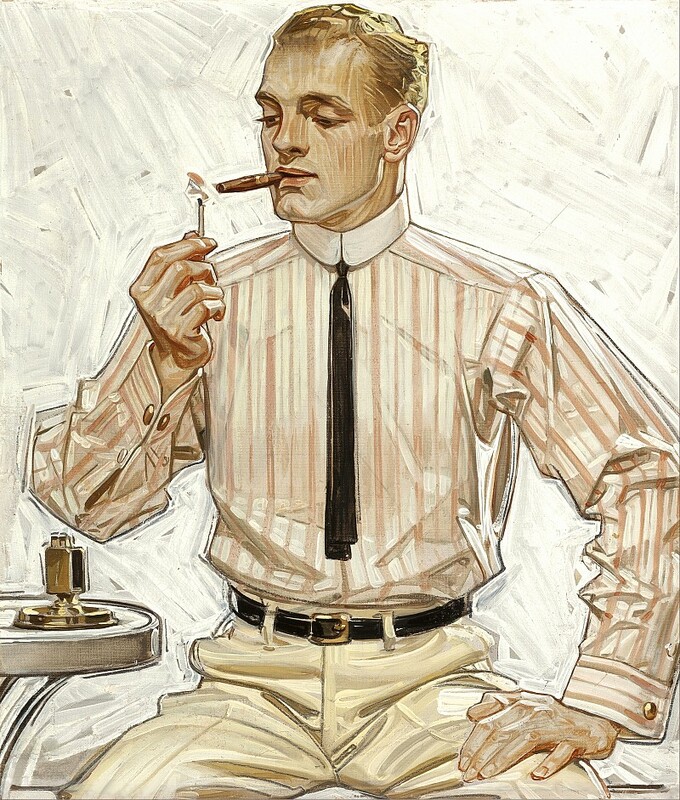 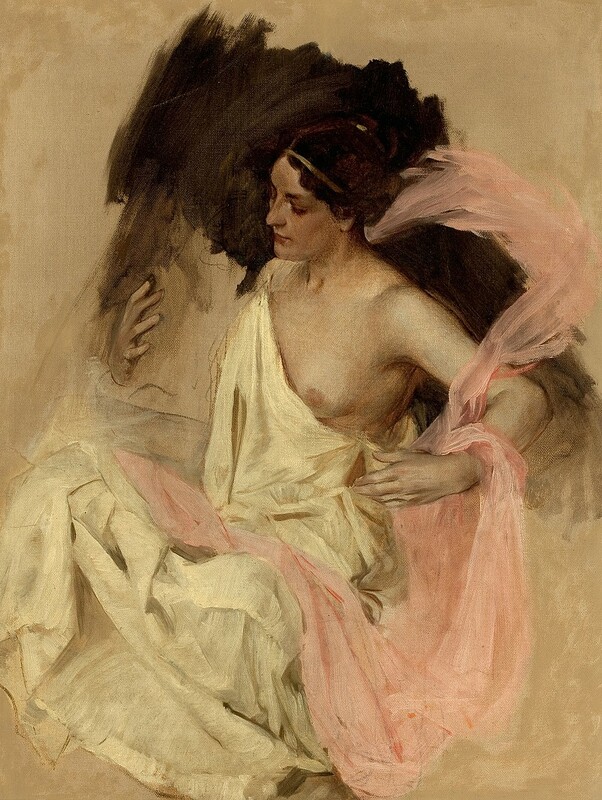 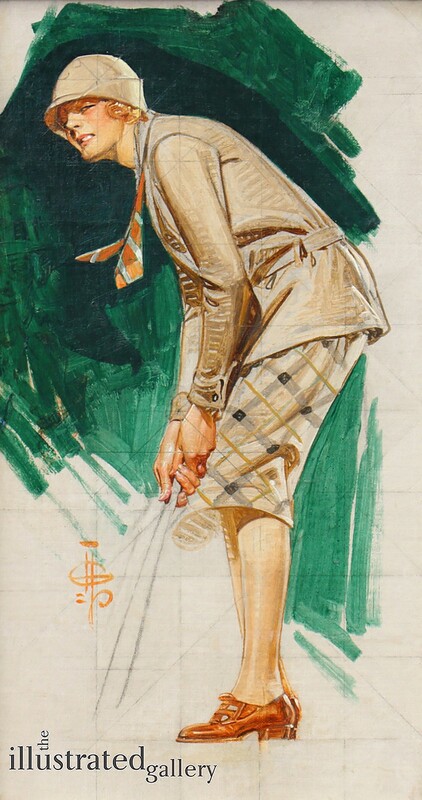 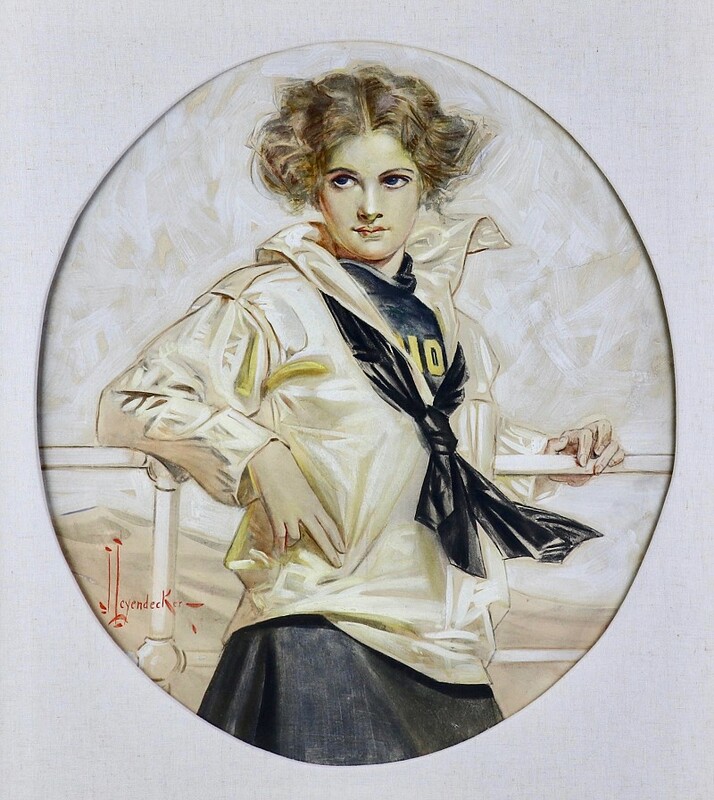 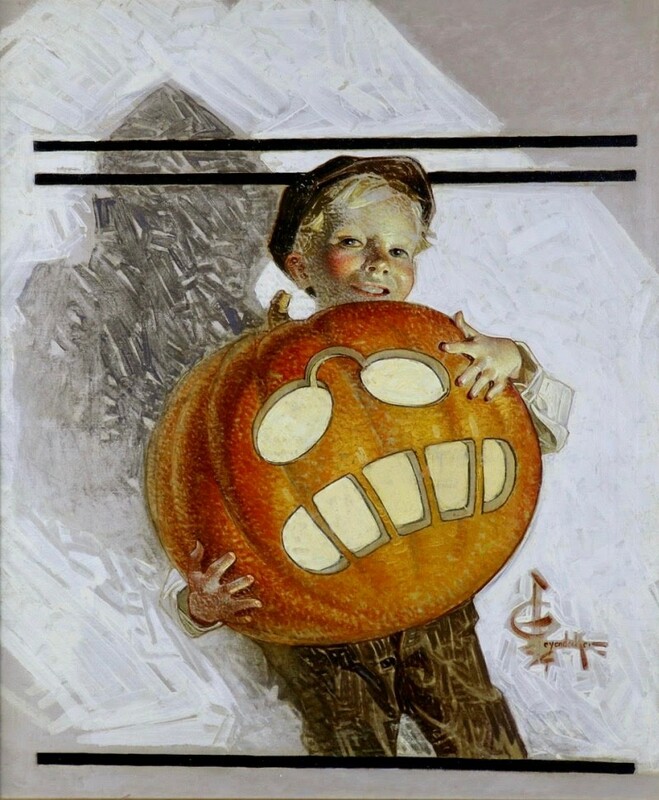 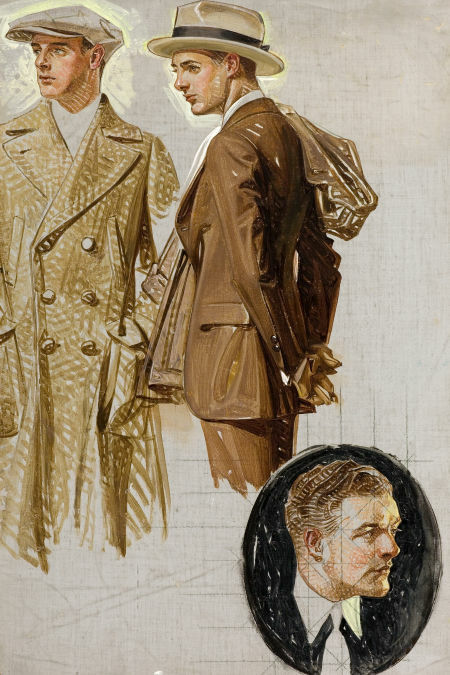 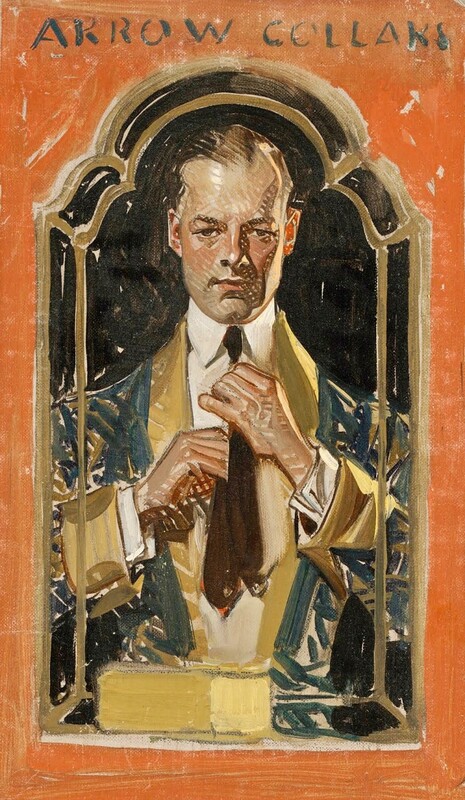 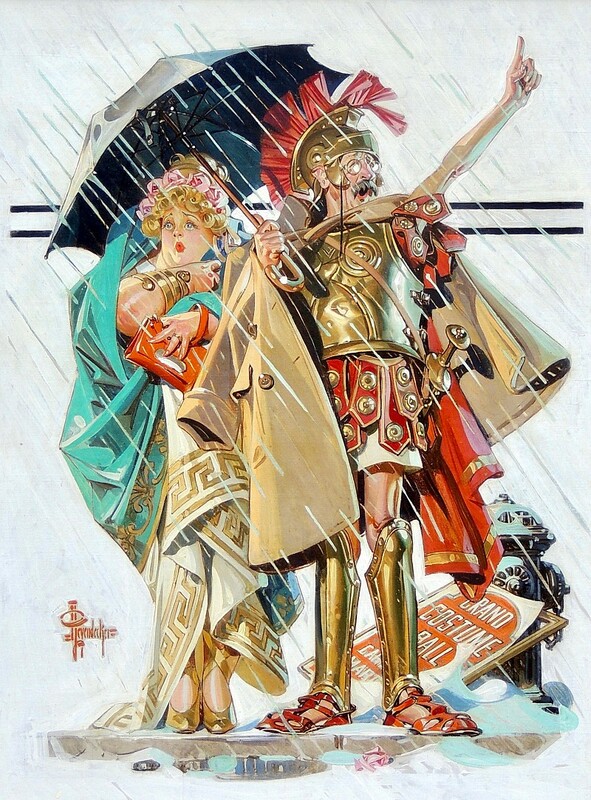 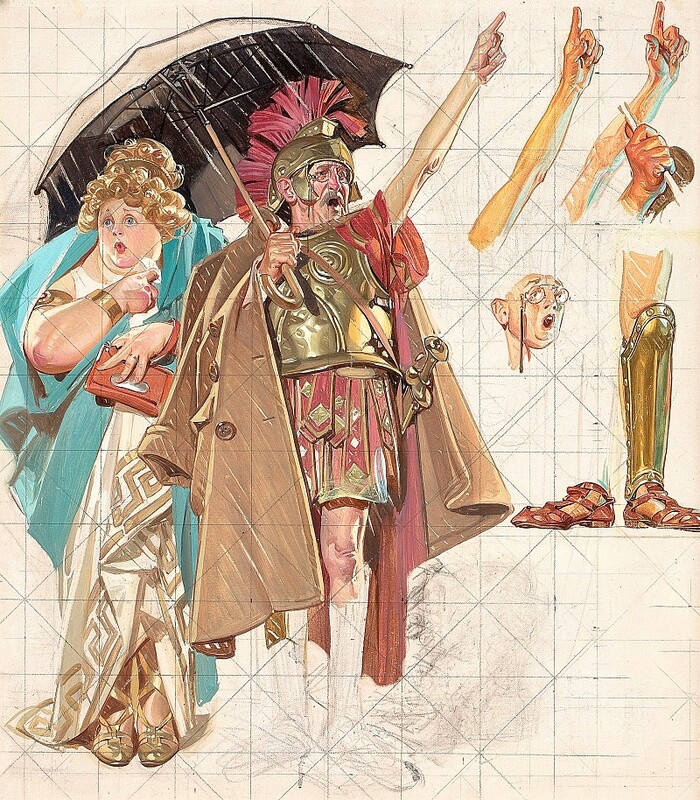 Upon his return, as a thoroughly trained artist with immense technical facility, Leyendecker had no difficulty in obtaining top commissions for advertising illustrations and cover designs for the leading publications. 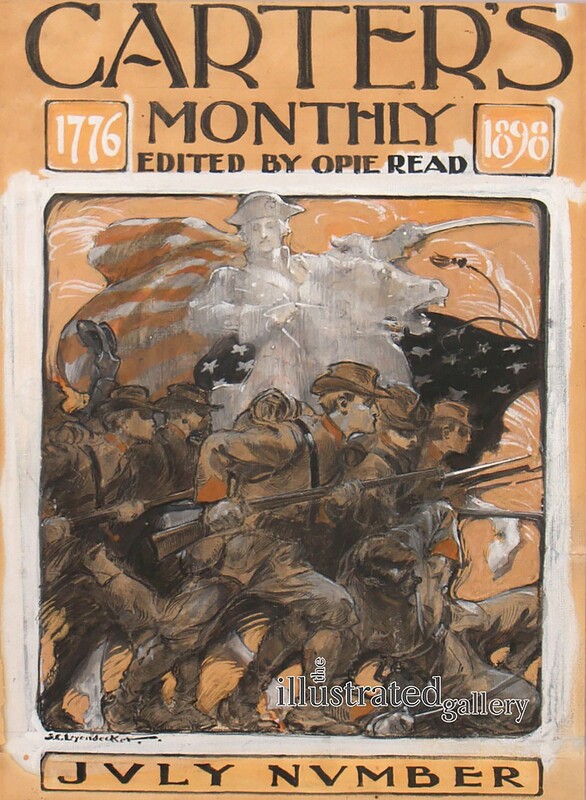 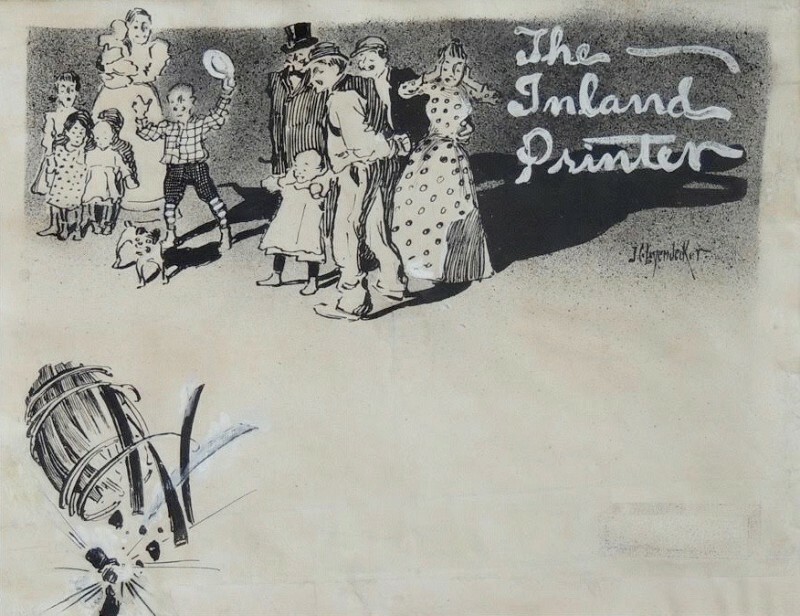 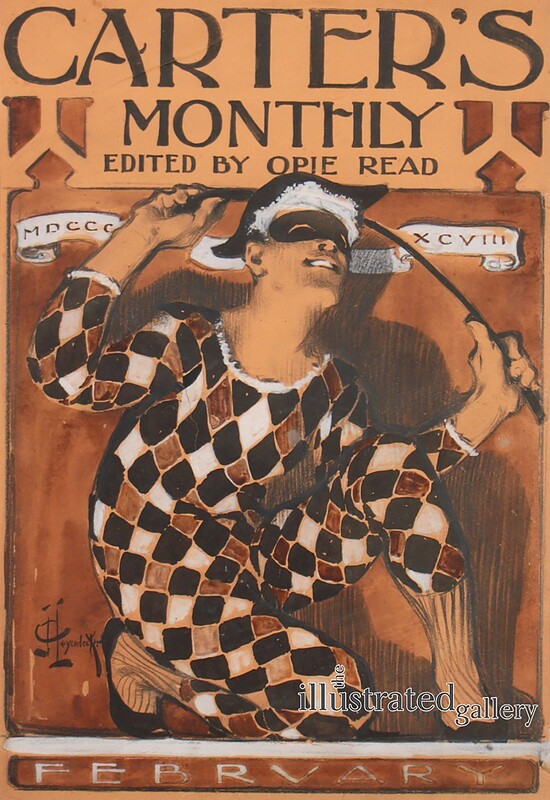 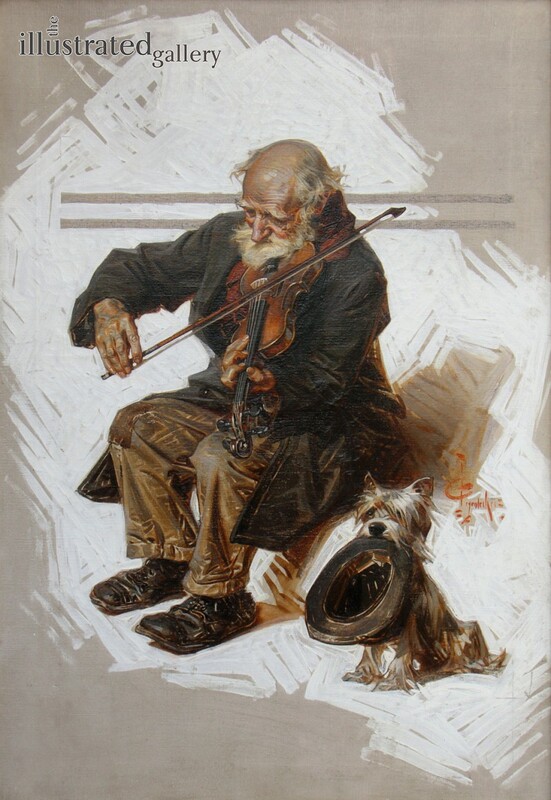 His first Post cover was done in 1899, and he did well over 300 more during the next 40 years. 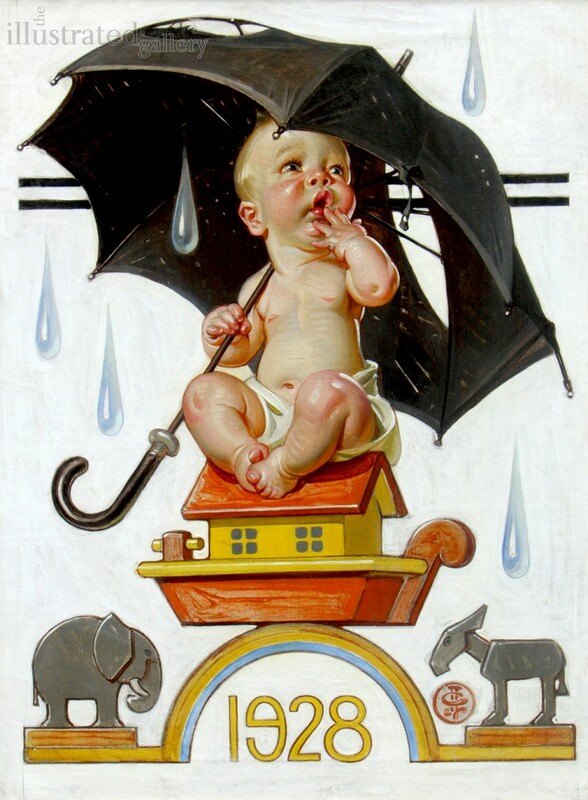 Among the most famous of these was his annual New Years Baby series. 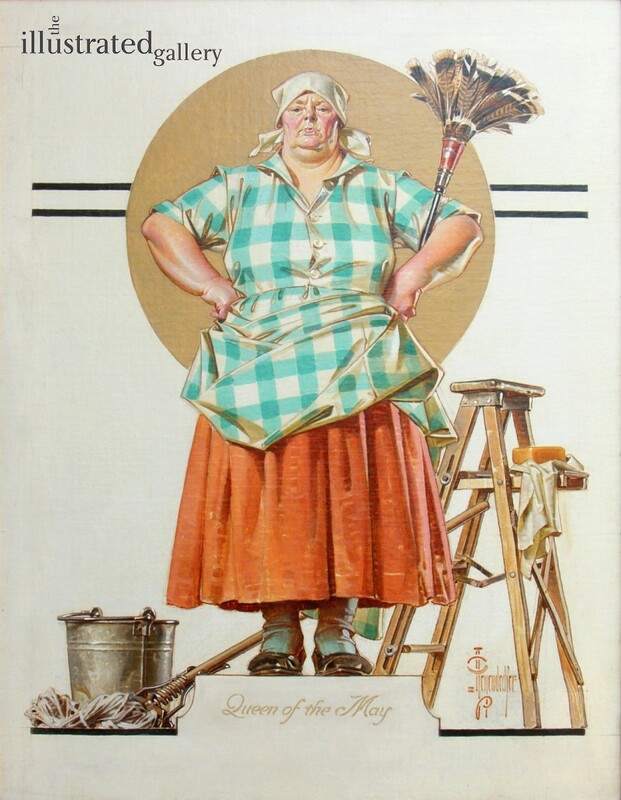 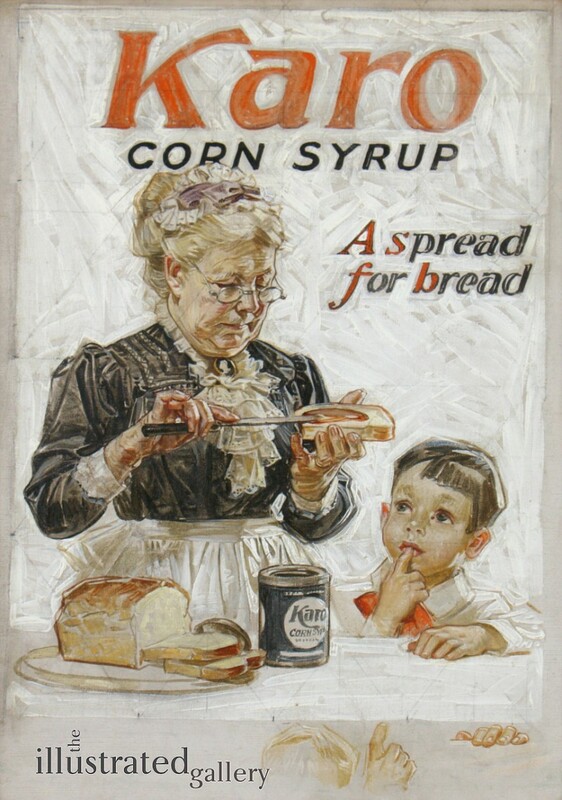 His advertising illustrations made his clients famous. 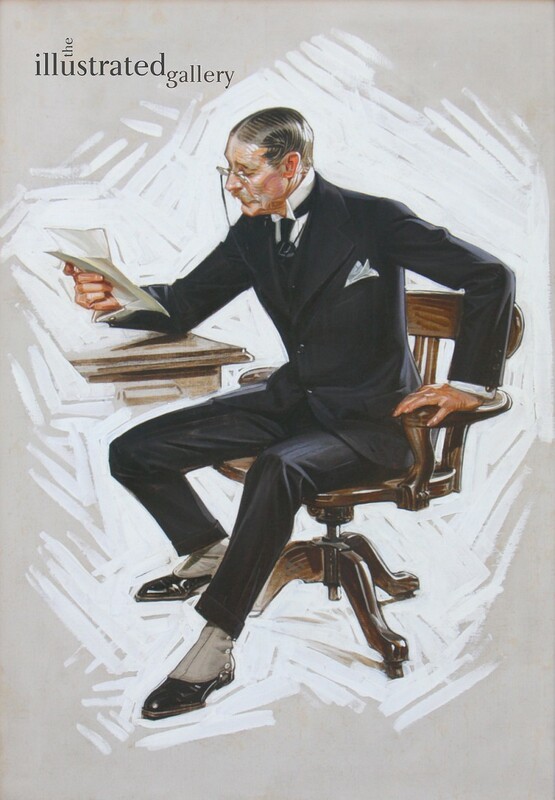 The Arrow Collar Man was a byword for the debonair, handsome male, and women wrote thousands of love letters to him in care of Cluett Peabody & Company. 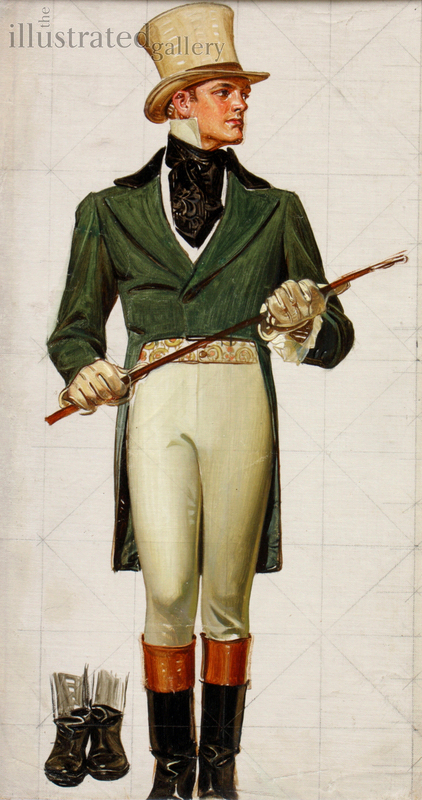 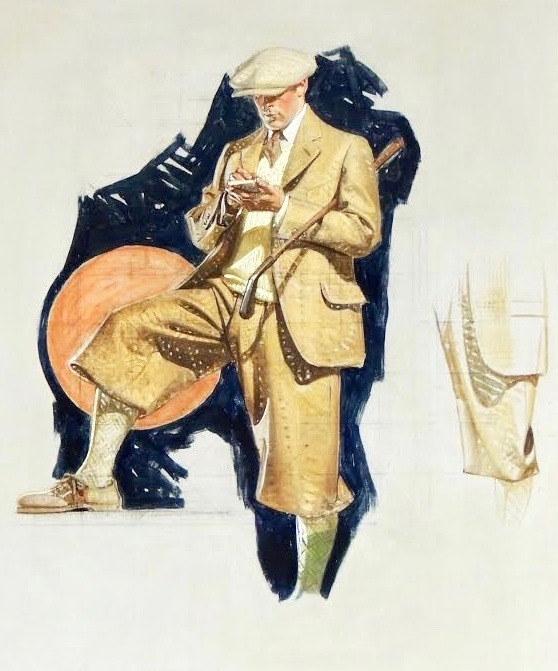 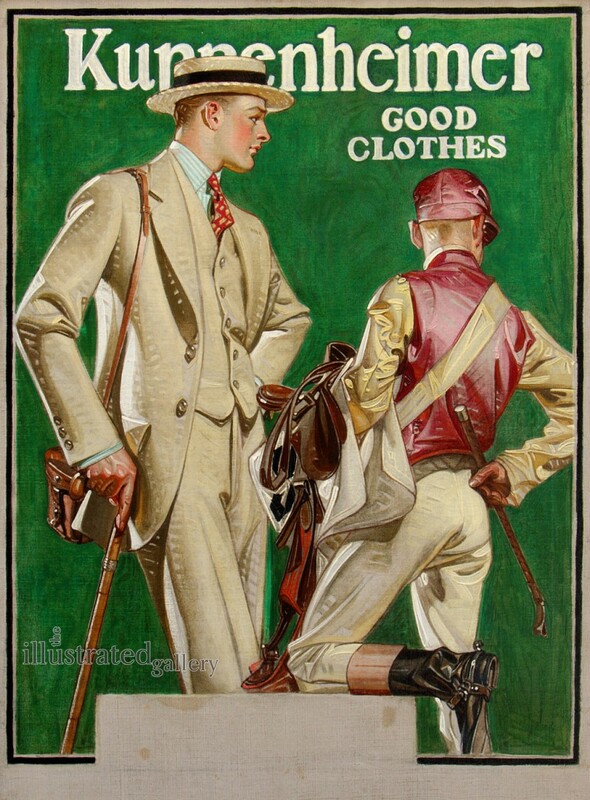 His illustrations for Kuppenheimer Clothes were equally successful in promoting an image of suited elegance. 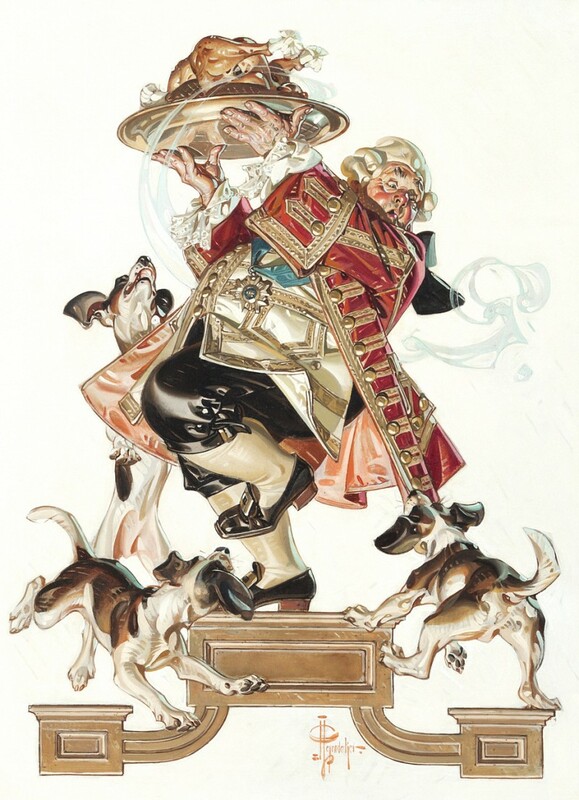 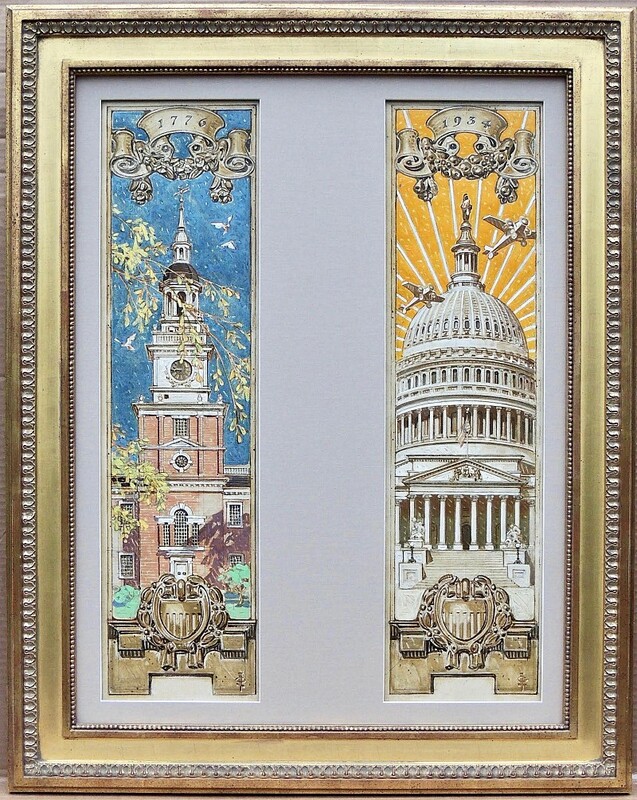 He was elected to the Society of Illustrators Hall of Fame in 1977. 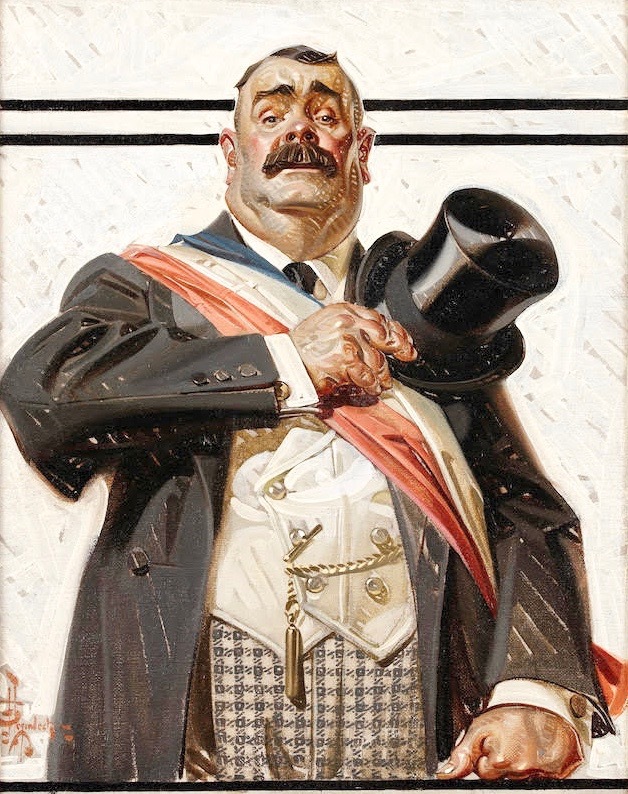 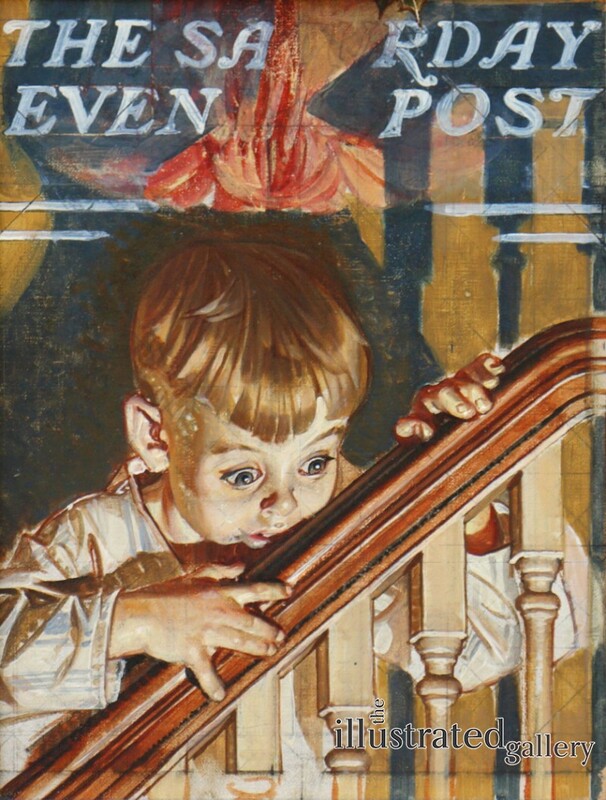 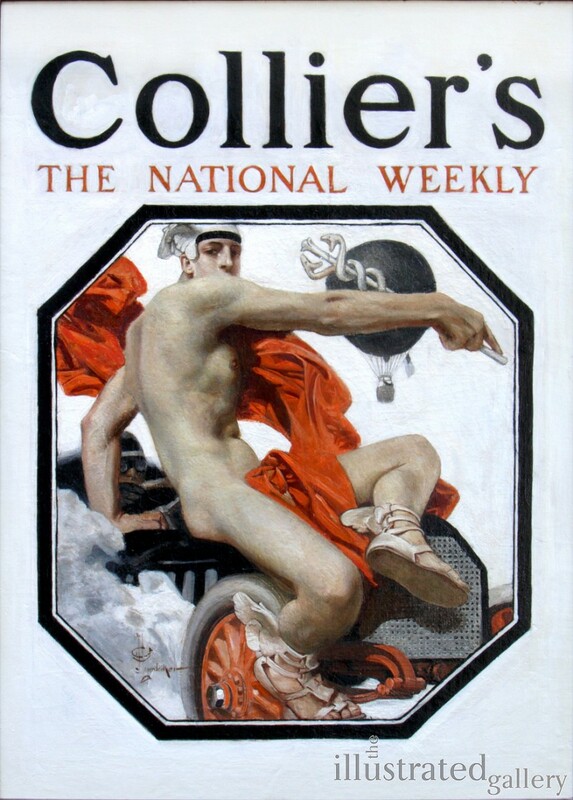 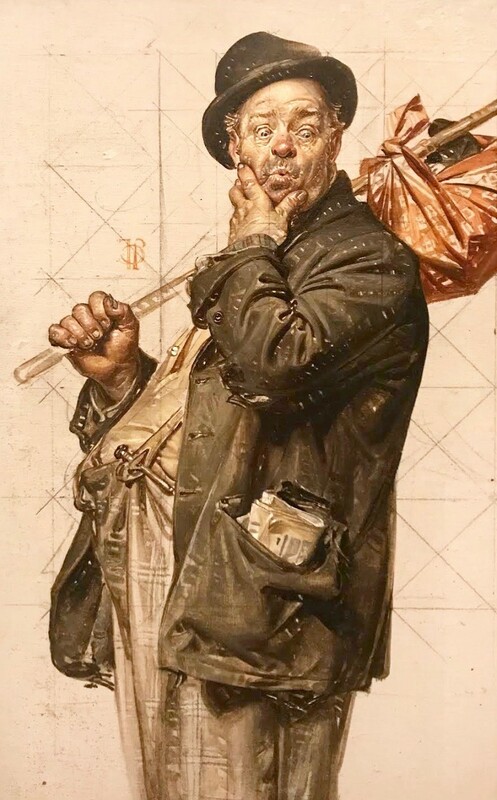 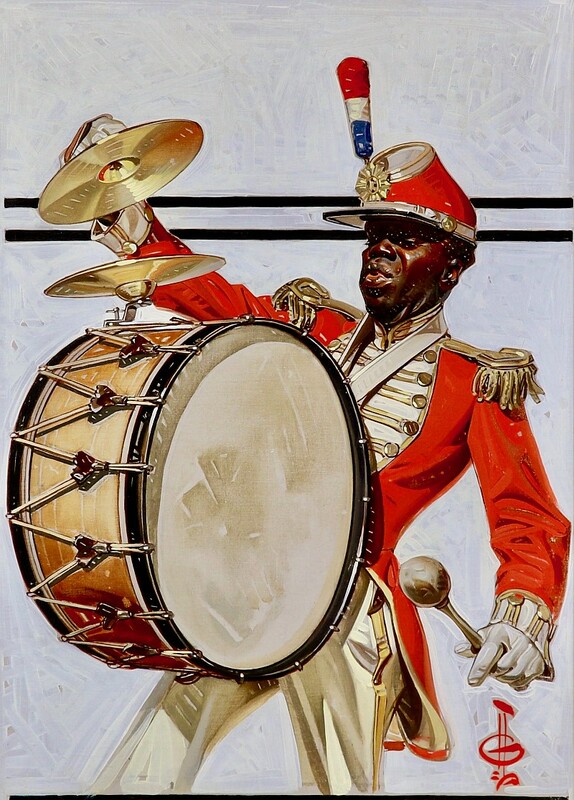 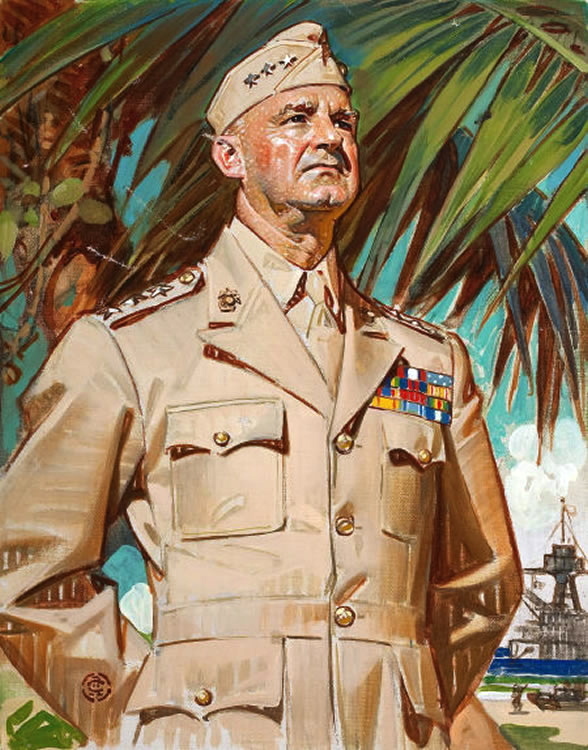 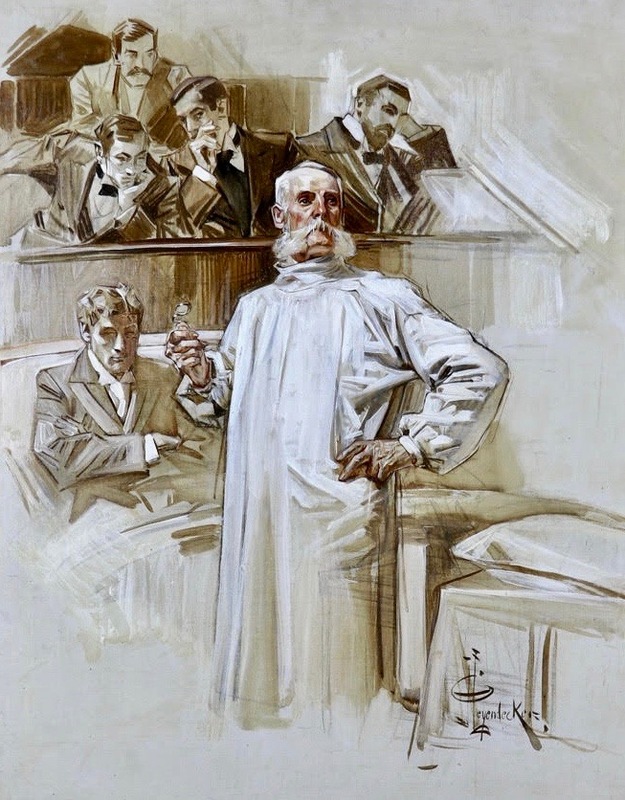 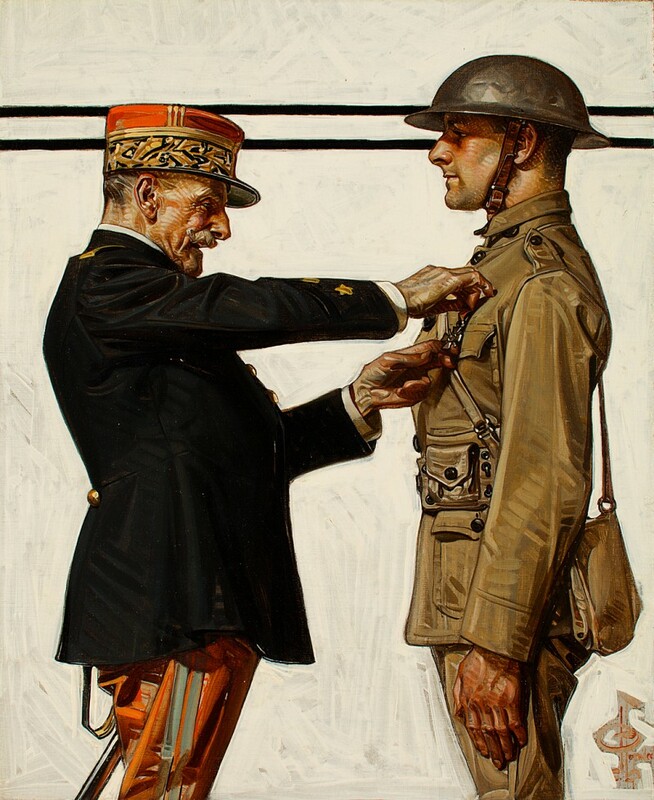 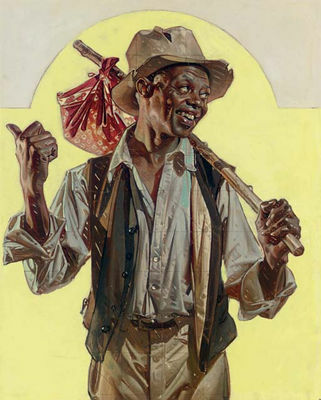 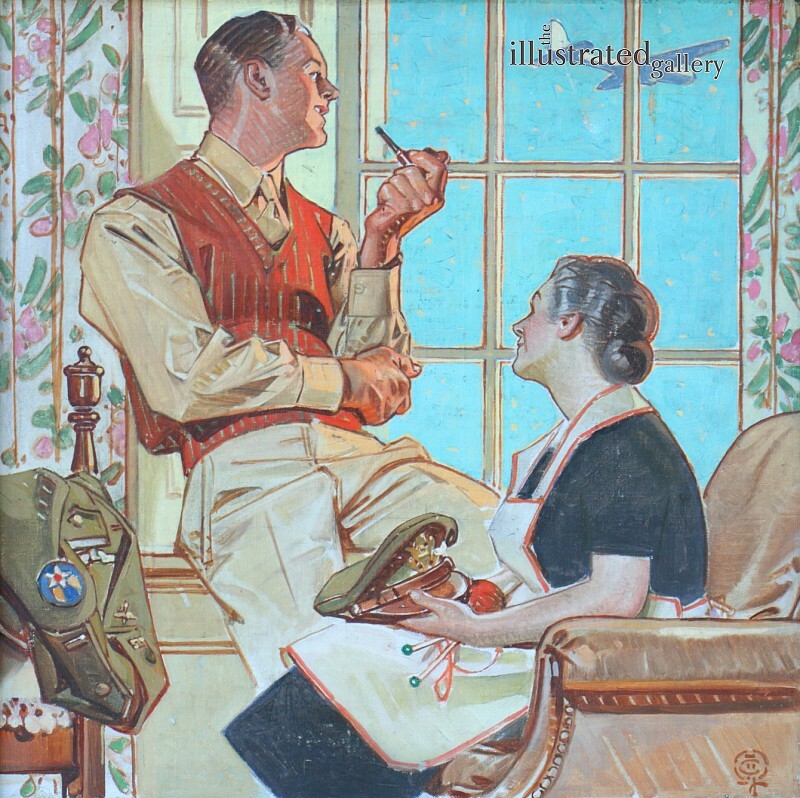 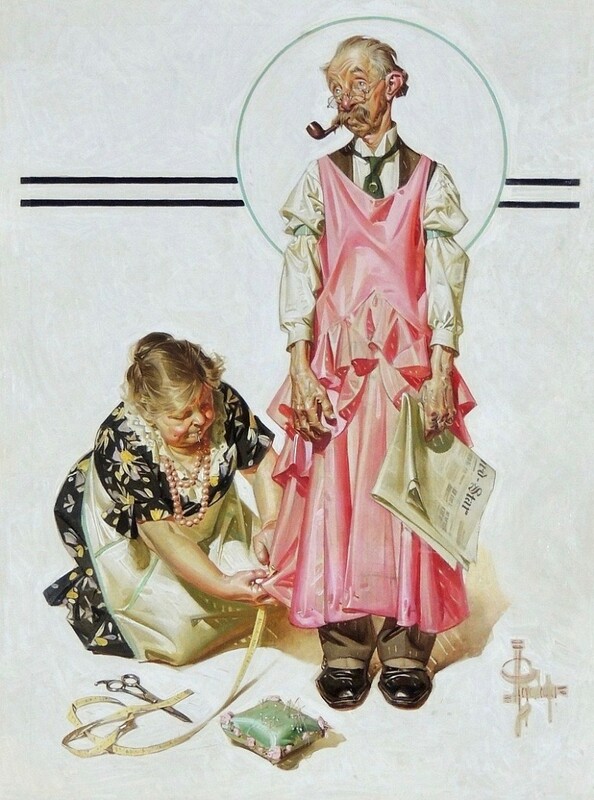 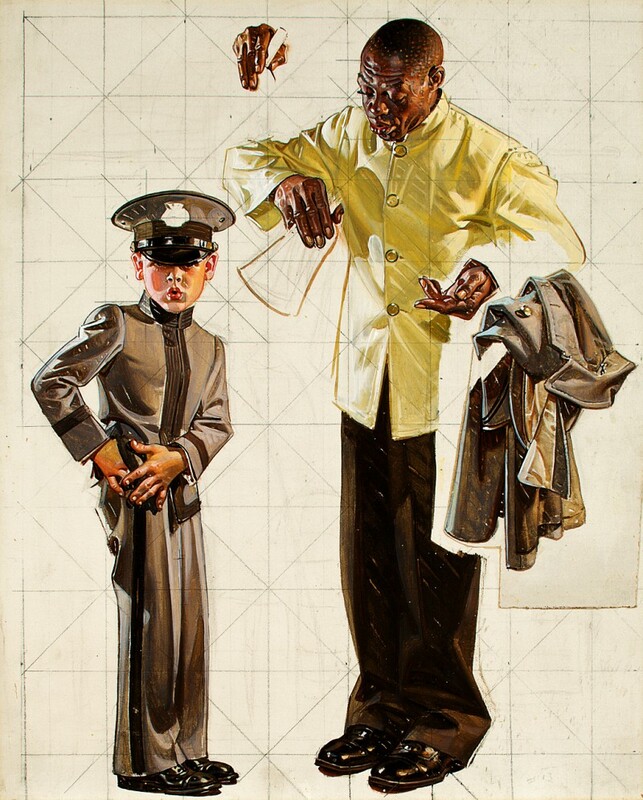 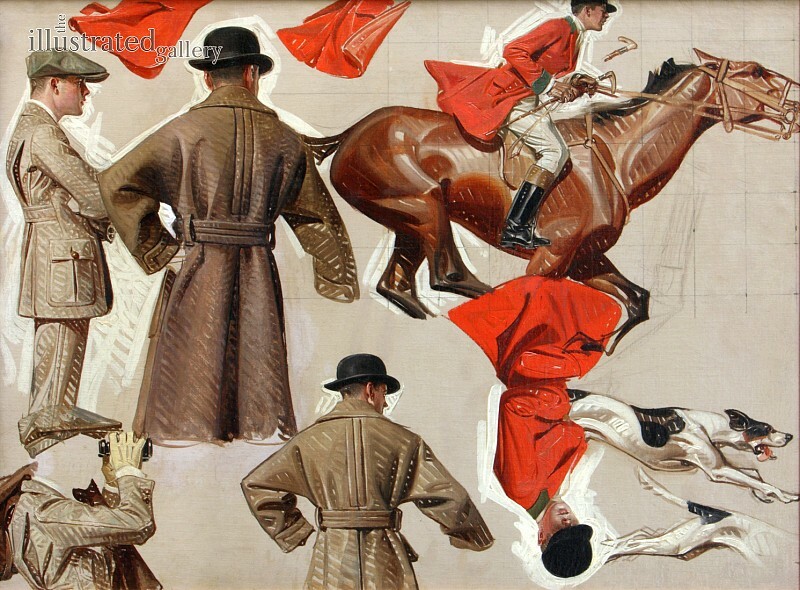 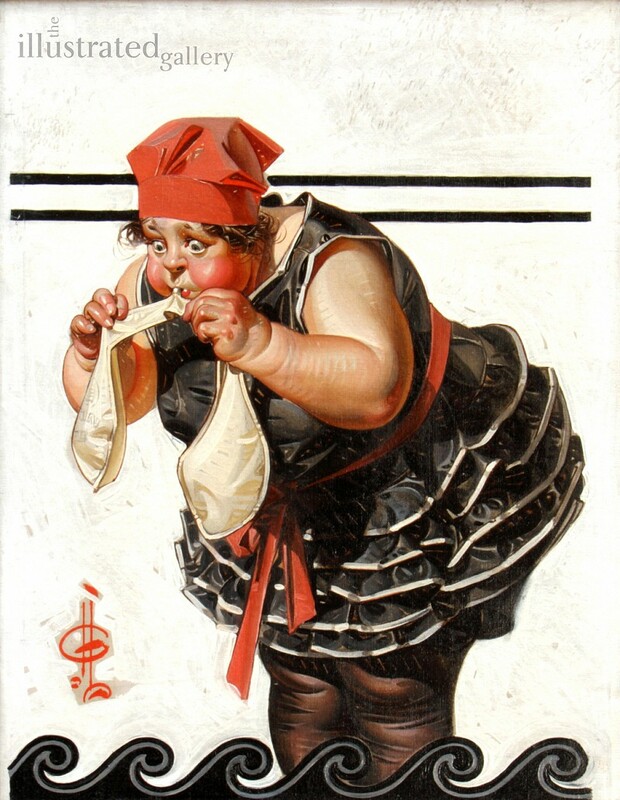 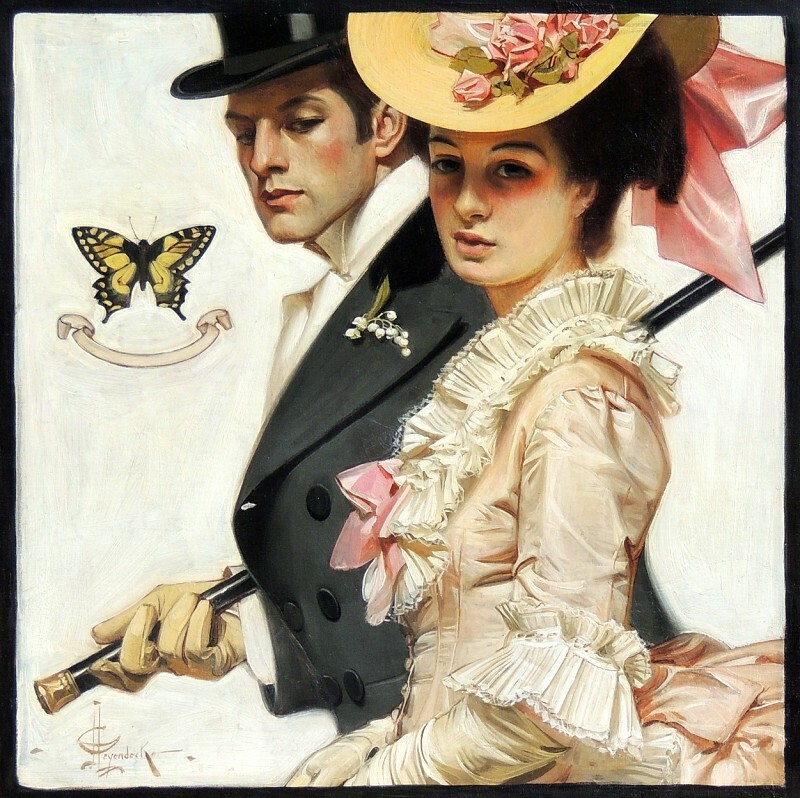 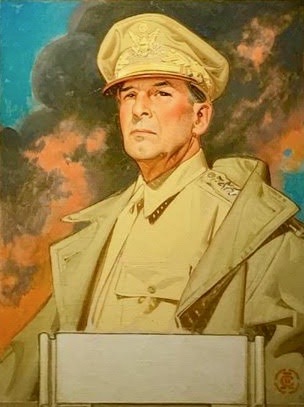 A major retrospective exhibition of Leyendecker's work was mounted at the Norman Rockwell Museum in Stockbridge, Massachusetts, in 1997-98.